Earlier this summer, I was able to write a little blog post about the Park Place Farmers Market; so when I was invited back for Handmade Holidays with some of the same vendors, I couldn't wait to capture what they were putting together for this season! Mindfully Made -- I loved learning more about Carol's journey through her love of DIY remedies for nourishing & supporting our bodies, and the passion of wanting to teach what she's learned with other women. (I highly recommend reading her whole journey here). Her salves, lip balms and elderberry juices are crafted with love & care, and will make great gifts for the holiday season! Scoby Masters Tea-Biotics -- Another new product I was really happy to see was this locally made kombucha! 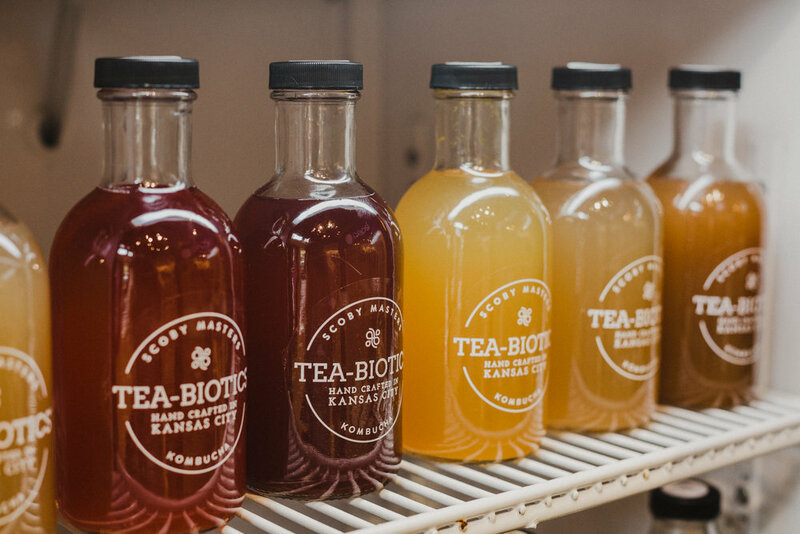 This company started in the home of the 'Scoby Master', who's hobby & passion of making kombucha & fermented vegetables quickly met a demand with friends and family. They pride themselves on their organic teas, (all of which are raw, vegan, non-GMO, and gluten-free), small batches, and really focusing on using ingredients from certified trade and organic companies that promote sustainability. CST Sweets -- The story behind this brand is one very near and dear to my heart, as a Grandma had given her granddaughter a passion for cooking, (and a love of chocolate and sweets created the brand!) These handcrafted treats include biscotti's, toffee, and peanut brittle; I don't know about you, but it doesn't quite feel like the holidays until I get my hands on some peanut brittle! Heartland Honey -- It made my heart so happy to see Cecil & Joli's honey again! This duo, (who met over 25 years ago at a beekeeping event), have continued to keep busy with fresh batches of honey, lip balms, and even lotion balms that are available at the Handmade Holidays pop up this year. You can tell when they talk about their products, how truly passionate they are about what they do and how important bees are to the farming process. Always a joy to see them again! Yummylicious -- I suddenly always get hungry when seeing or talking about Yummylicious products.. funny how that happens ;) I cannot stress enough when I tell you that this company actually makes cookies & treats with healthy, natural ingredients. Yes, healthy cookies.. it's actually a thing! Using only organic whole grains, their cookie provides you with whole wheat flour, flaxseed and oatmeal, (which is giving you fiber), and while also giving you protein and Omega-3's. If we needed any sort of an excuse to eat cookies before, we definitely don't need one now! thēz nüts -- We all know the classic phrase, '____ walk into a bar', but in this scenario add three friends to that blank space and you have the beginning story of this artisan nut company! 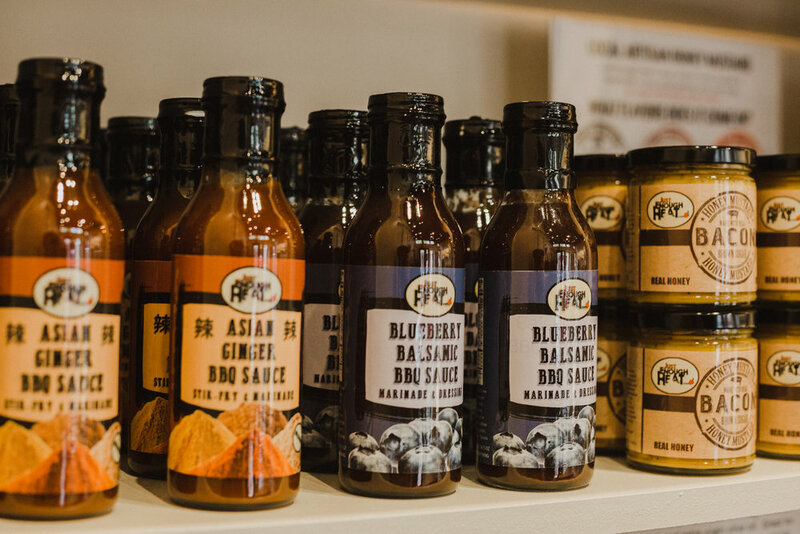 Now on retail shops shelves in three states, these friends have developed dozens of recipes and find as many ways to give back to our KC community as possible. (They are well aware that their name might raise some eyebrows, but they don't mind one bit!) All varieties of thēz nüts can be found at Handmade Holidays! Dragonfly Gourmet Foods -- Last, but certainly not least are the curators of this years shop! 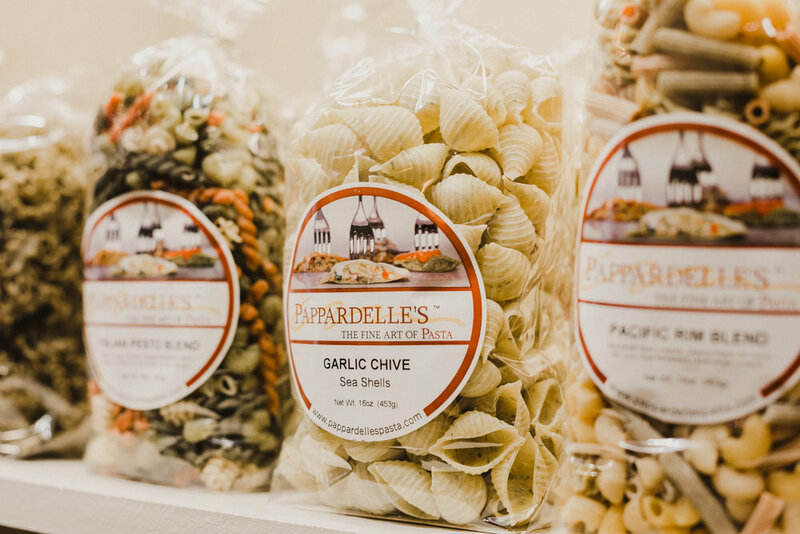 I instantly became a fan of theirs this summer at the Farmers Market, (plus, pickles happen to be my favorite food so there's really no way to no like these guys). Krista & Quinten continue to create with the freshest ingredients, and hand cut, hand mash, hand mix, hand pack, and hand label every jar of their product! 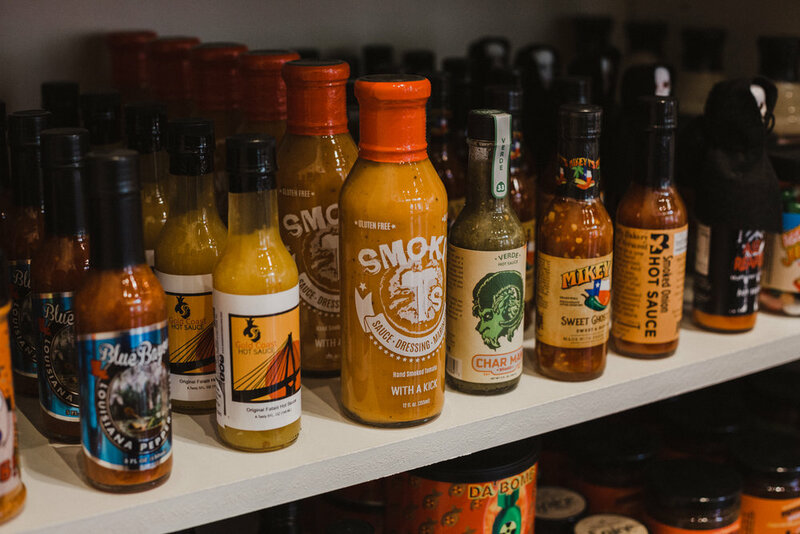 They have everything from their dill pickles, to peach mango salsa and even seasoning at the pop up shop this season. A huge thank you to Dragonfly Gourmet Foods and Park Place for having me out yesterday! I feel so thankful to write about things like this and celebrating local vendors that come together for others. Congratulations on a beautiful space & opening! If you're looking for a special place to do some holiday shopping for your family or friends, (or you... no judgement here! ), I highly recommend swinging by Handmade Holidays! (Address for this years pop-up is 11555 Ash Street; additional information can be found on http://www.parkplaceleawood.com/).